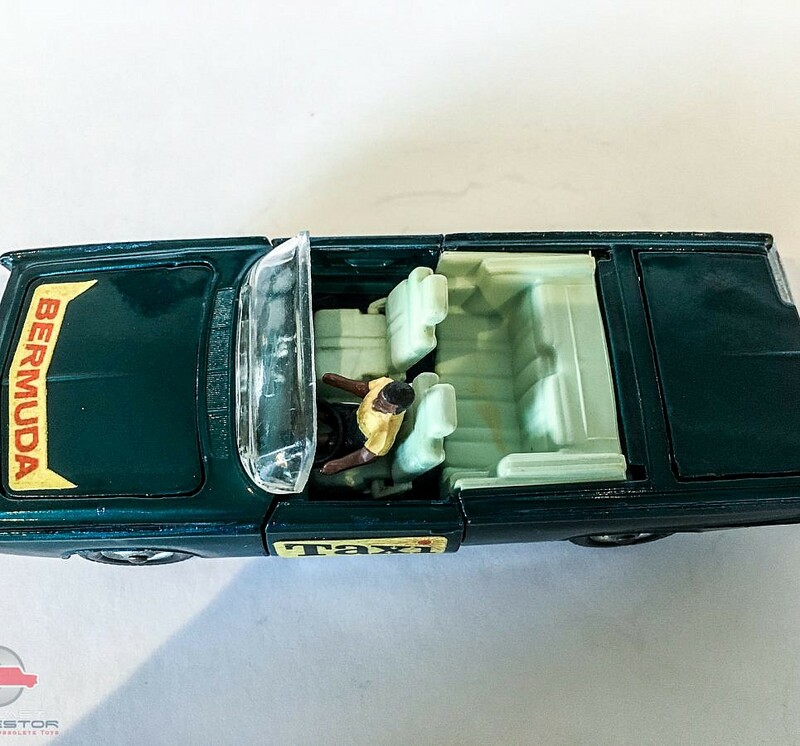 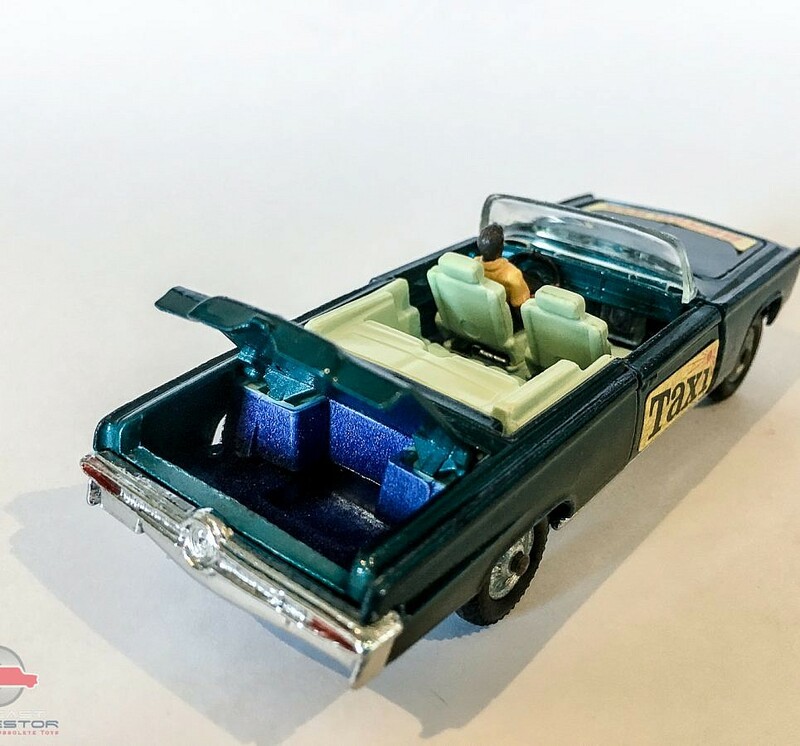 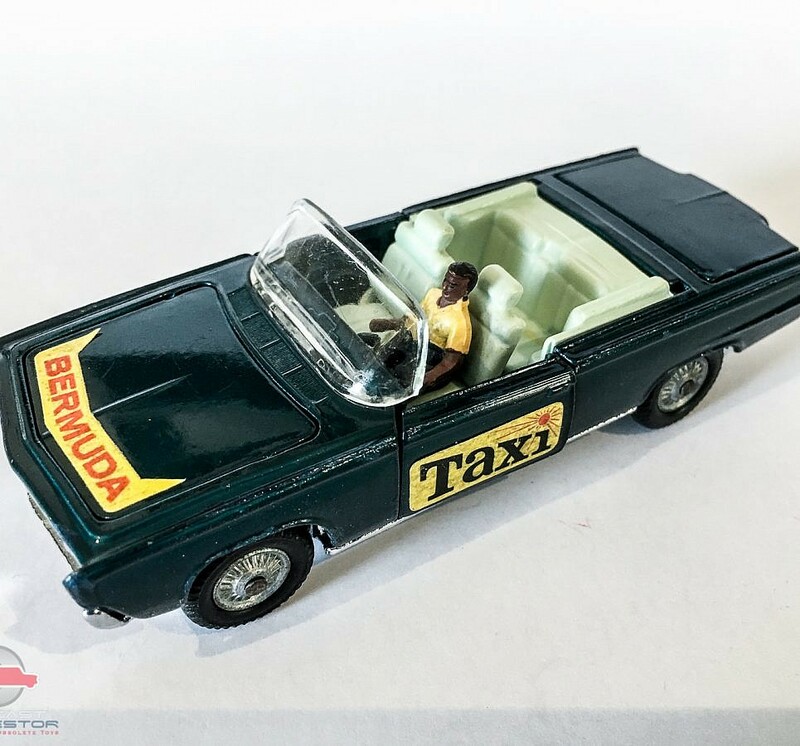 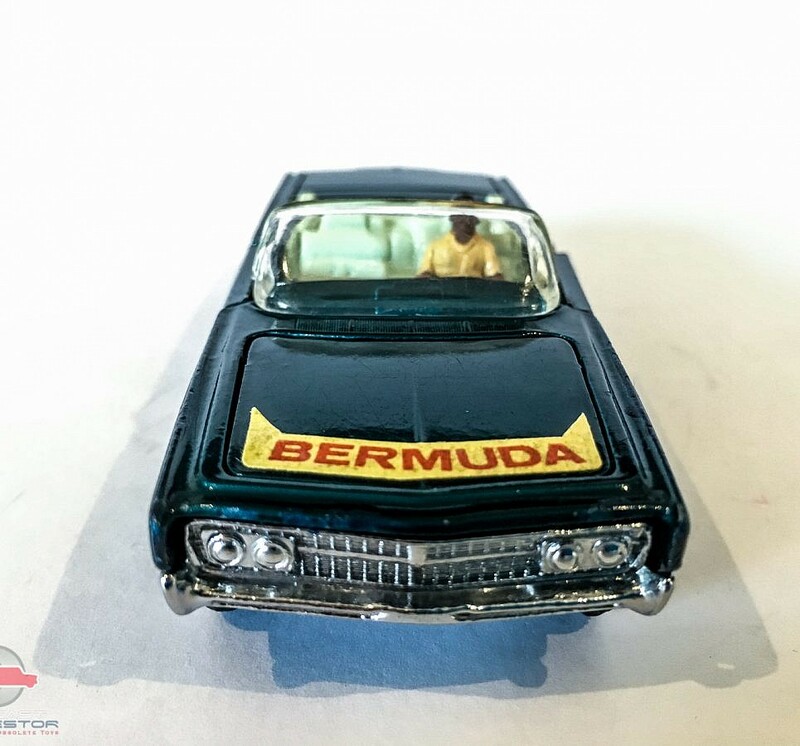 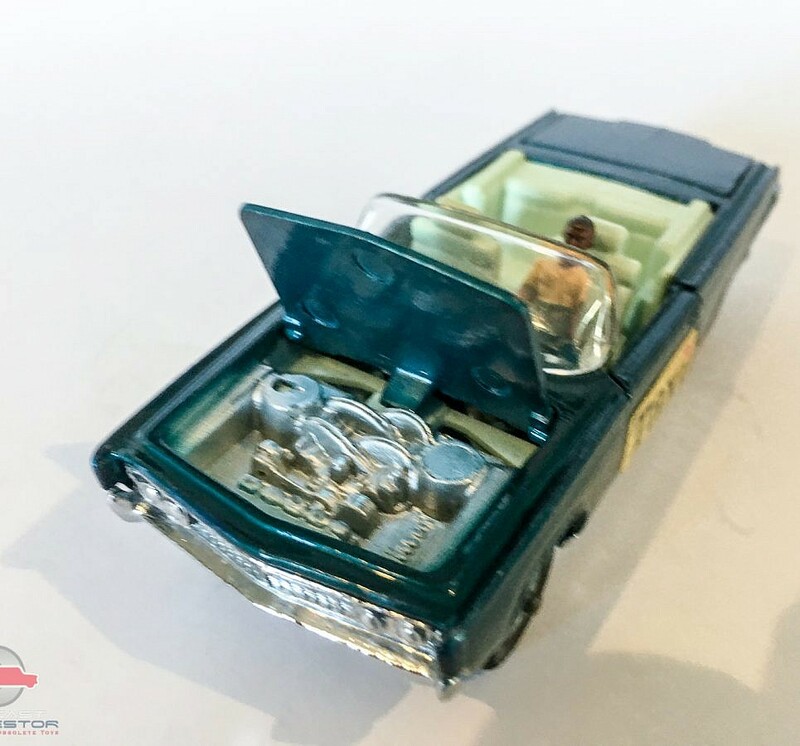 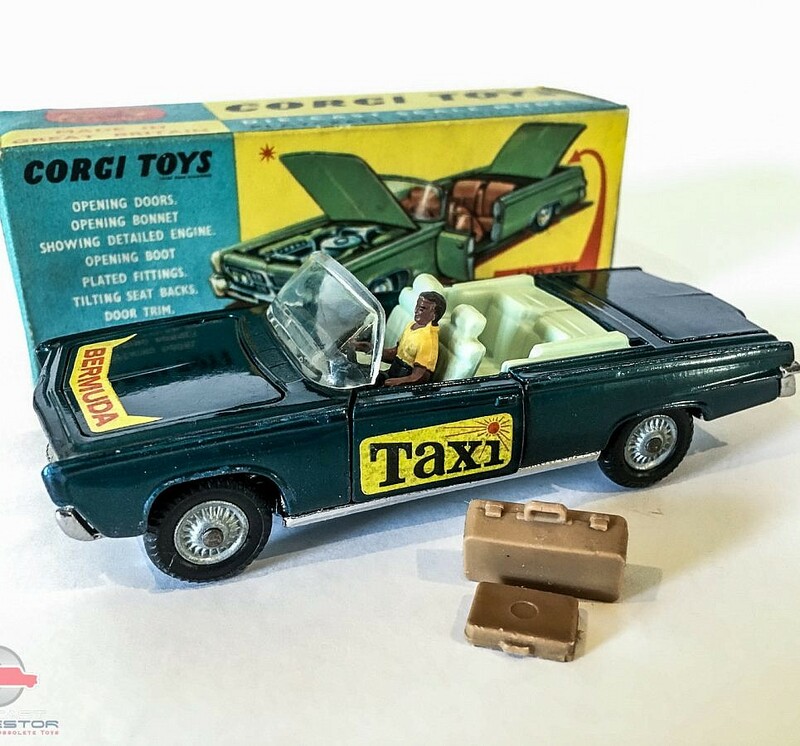 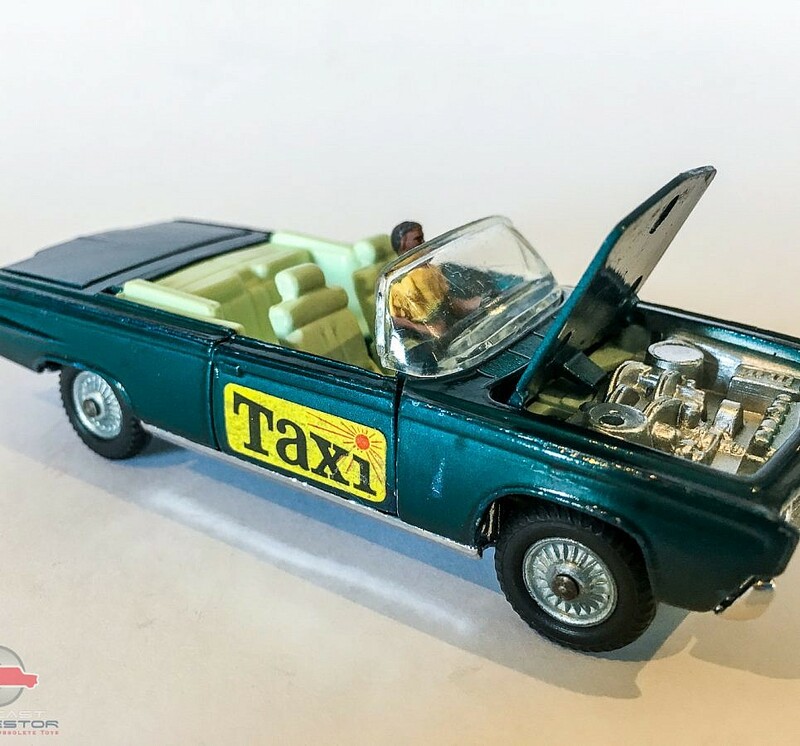 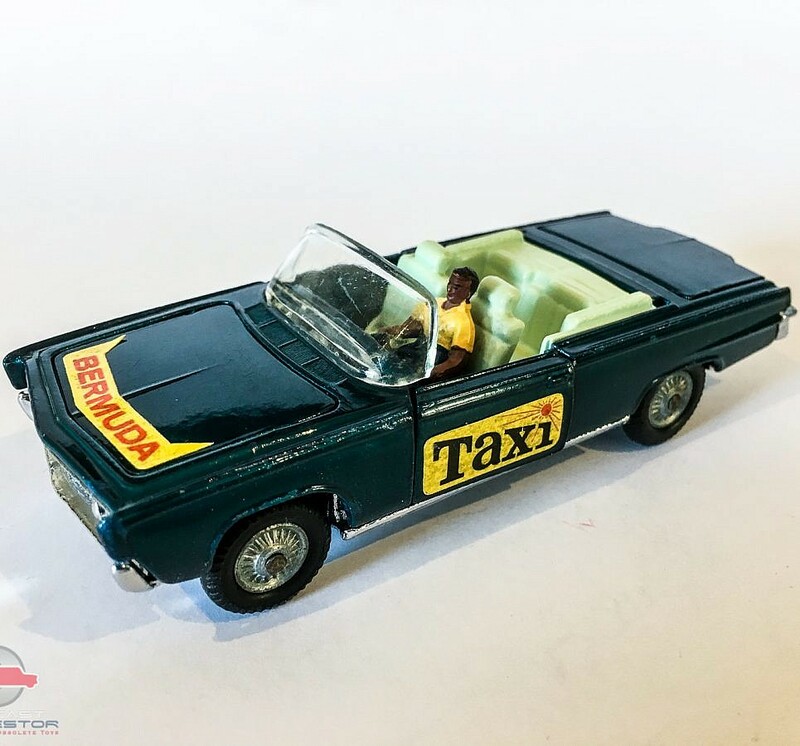 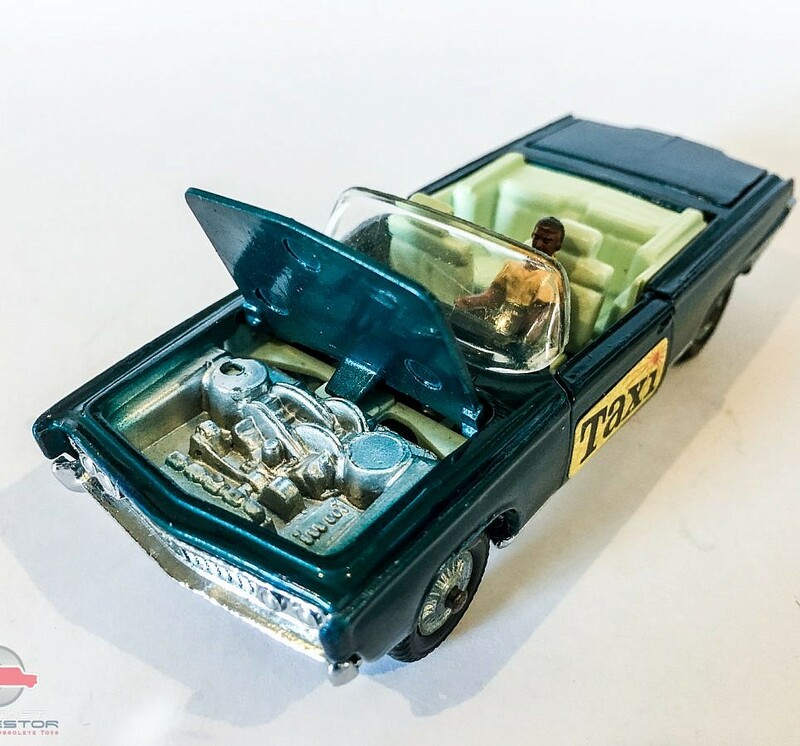 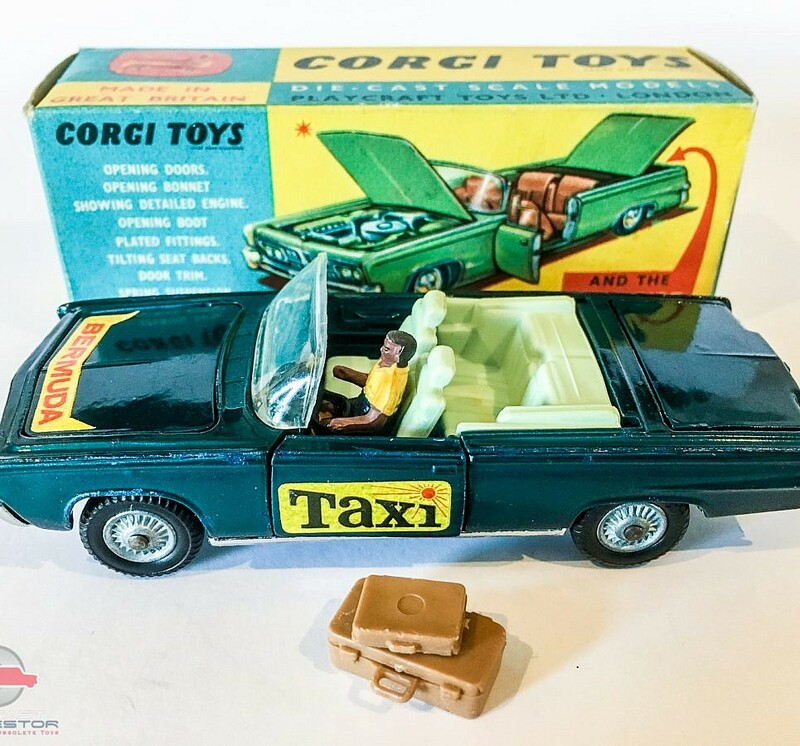 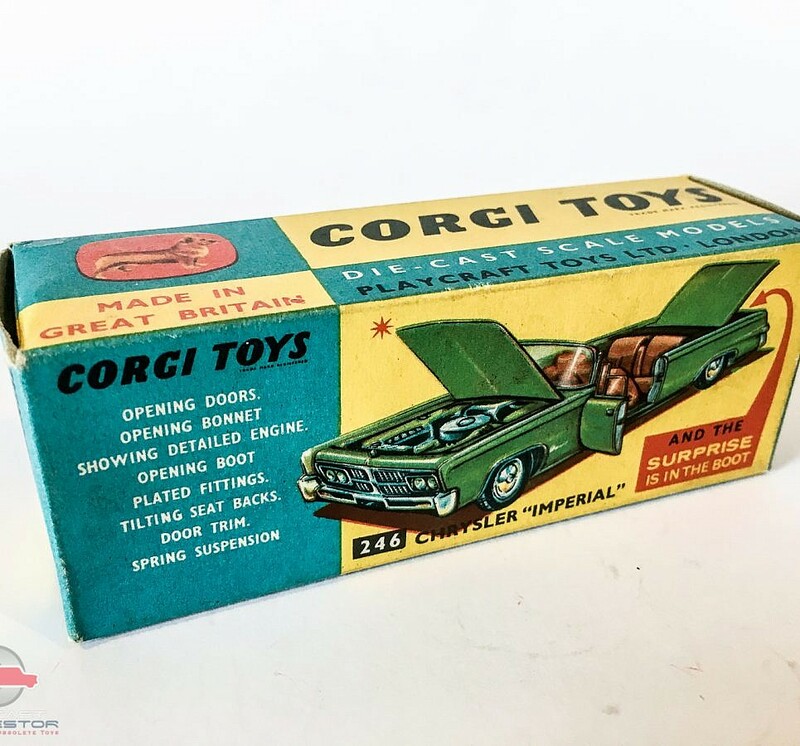 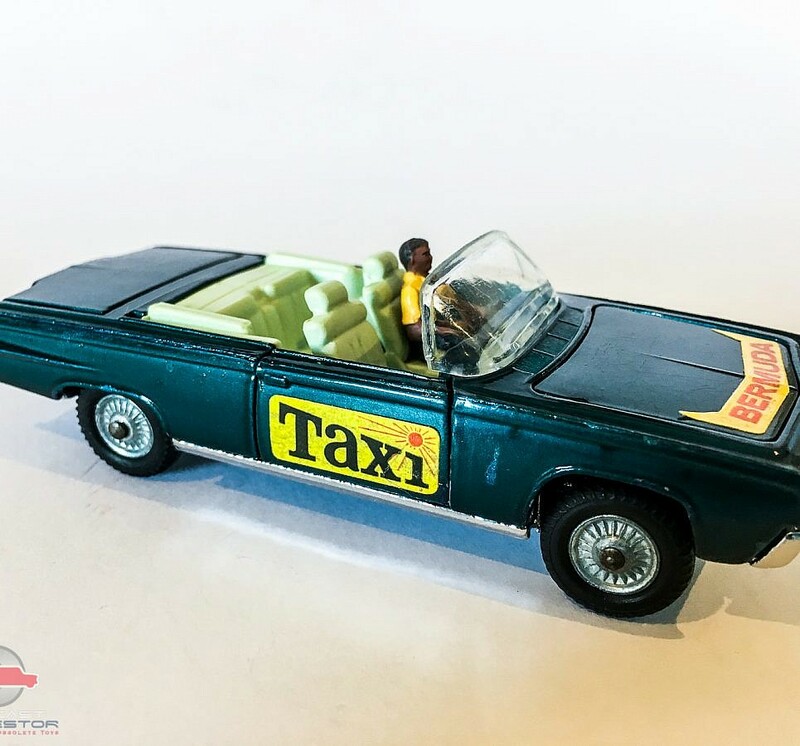 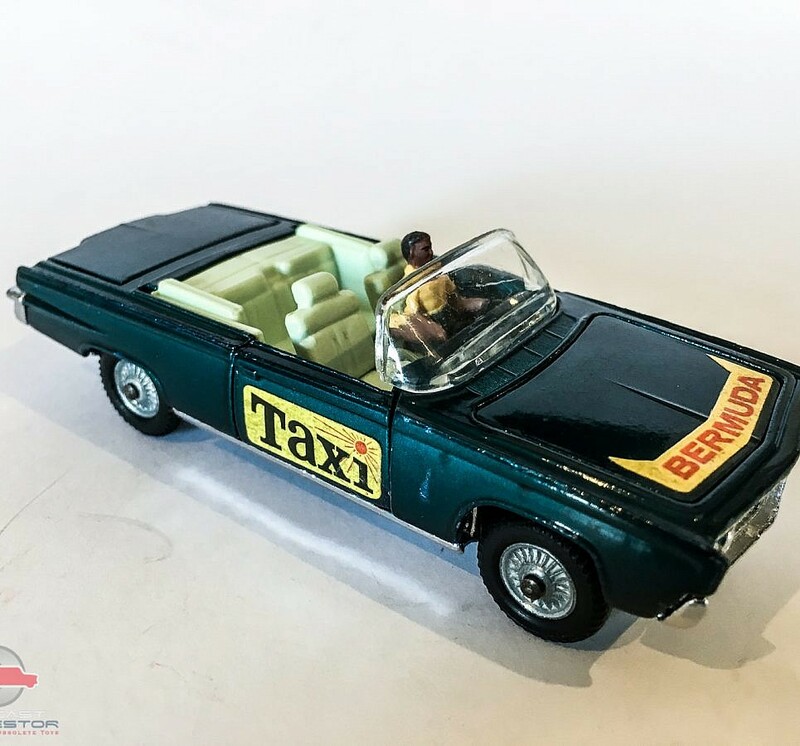 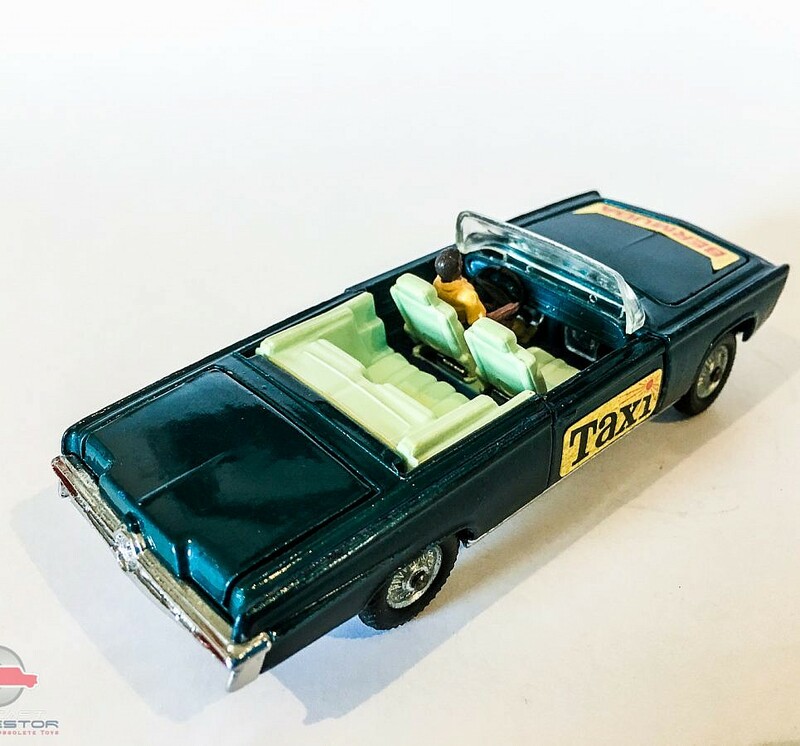 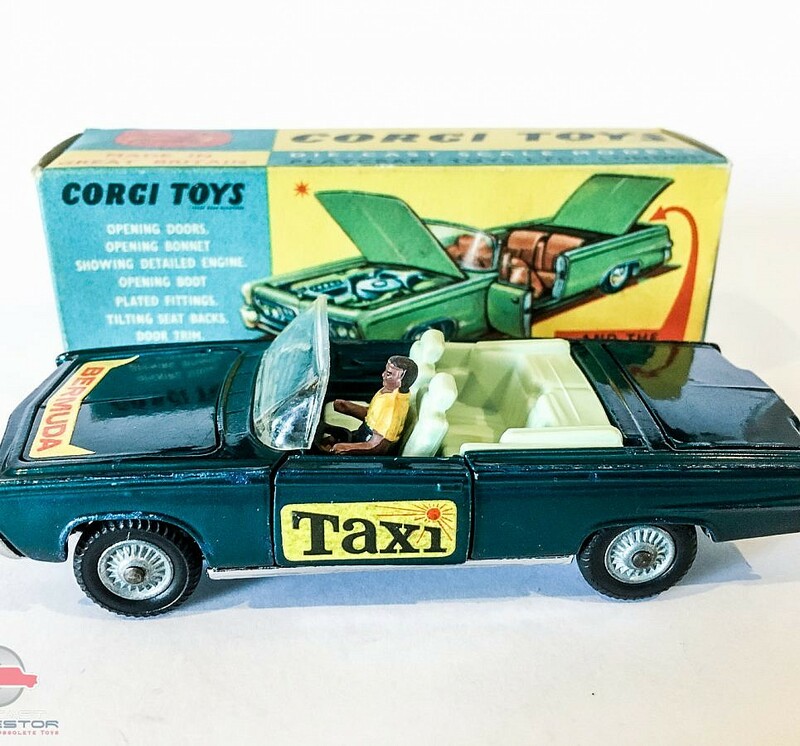 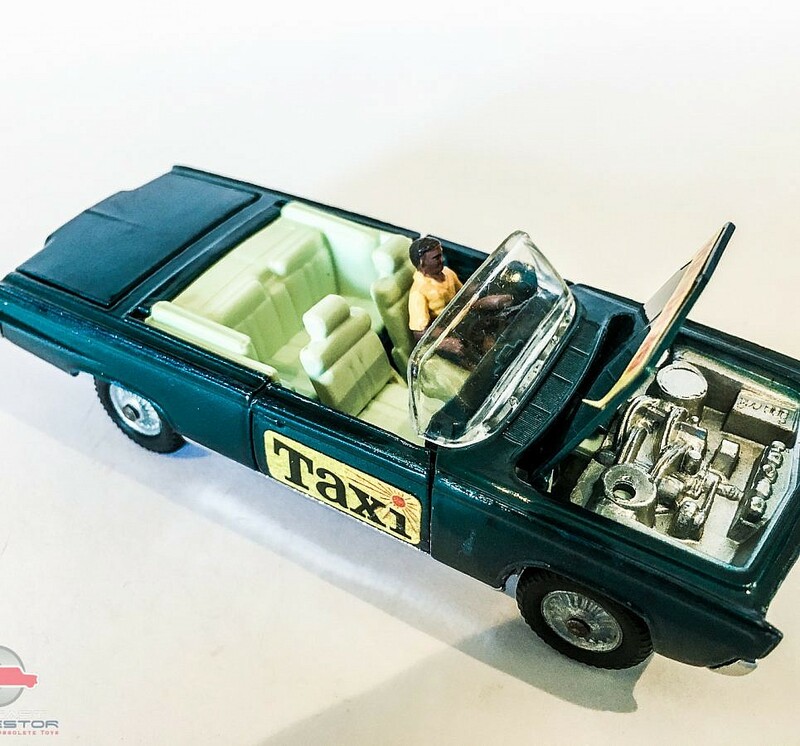 Corgi No.507 Pre-Production Chrysler Imperial "Bermuda Taxi"
SKU: 17022018001. 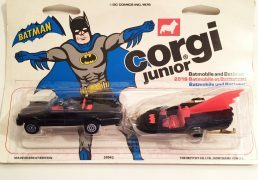 Categories: Cars, Corgi, Preproduction. 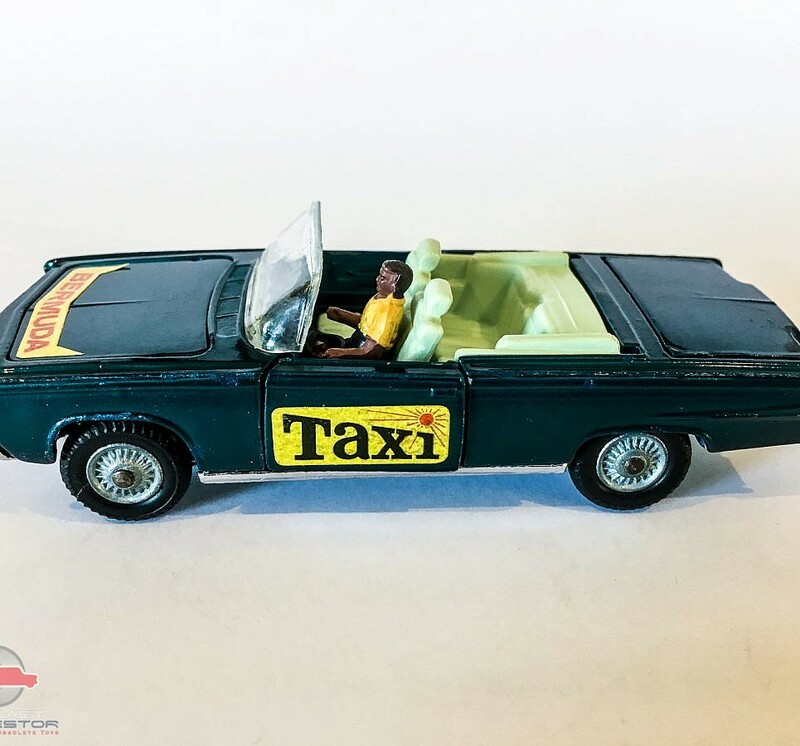 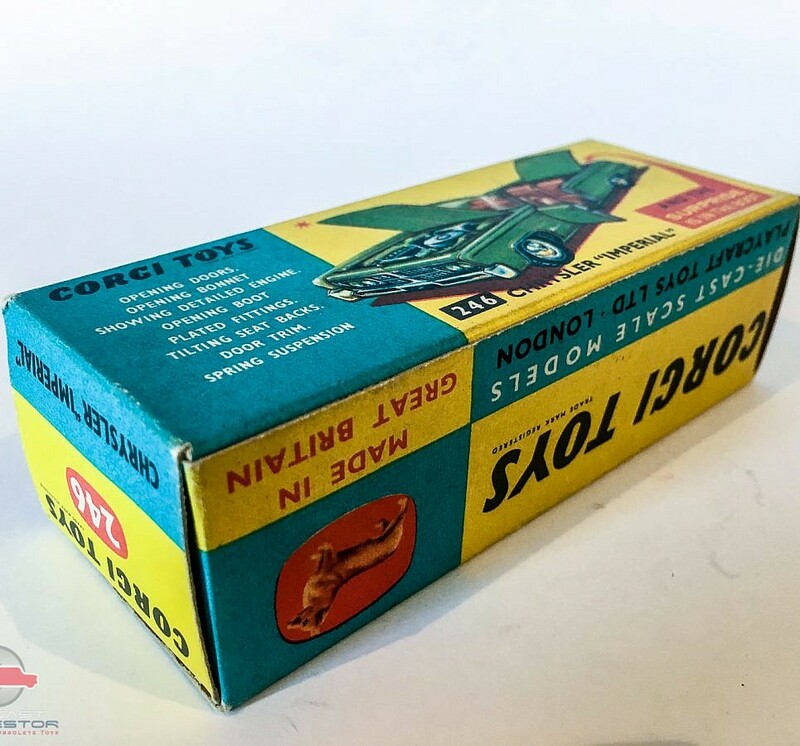 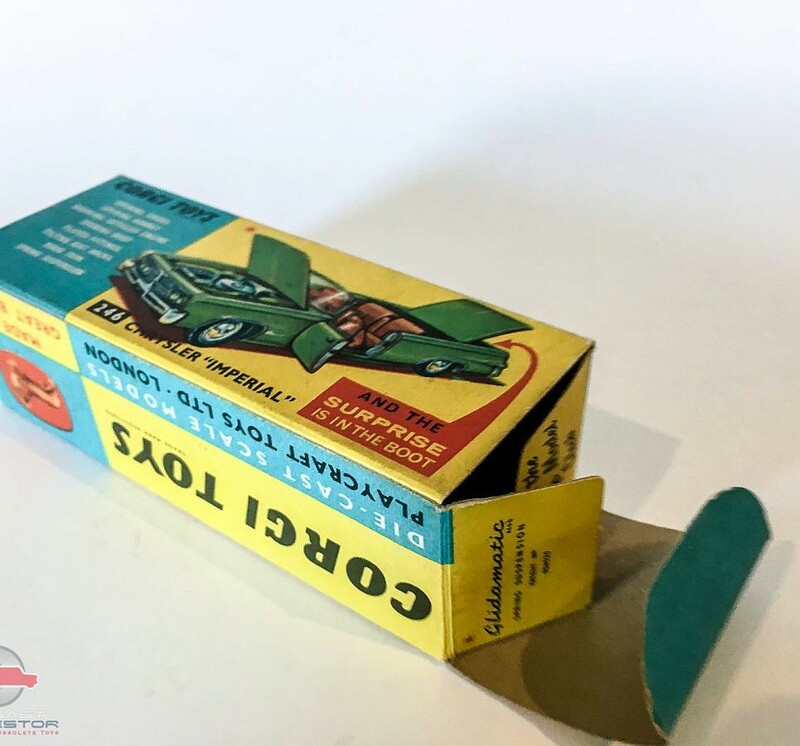 No.507 Chrysler Imperial “Bermuda Taxi” – pre-production sample model finished in aqua turquoise sea green – with cast hubs and chrome trim – features decals to bonnet and side complete with luggage, driver – this was never issued, can be seen in the 1969 Catalogue (missing canopies). 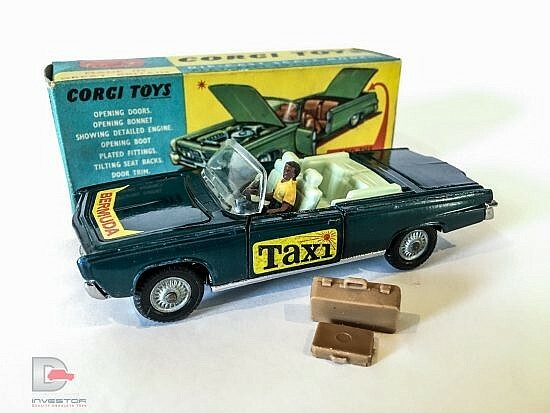 All the tyres are good with no cracks. 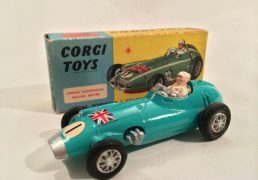 This is an exceptionally rare item, less than a handful have ever come to the market. 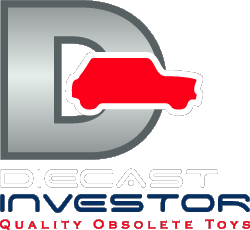 The car is in excellent condition with a few touch ups but a totally genuine car with no tampering of the rivets. 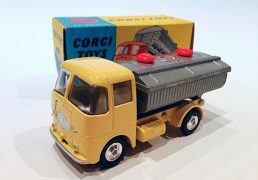 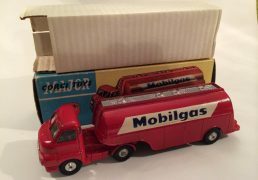 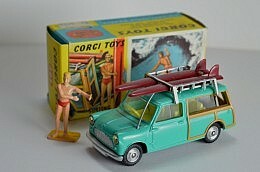 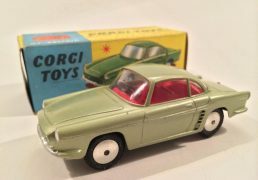 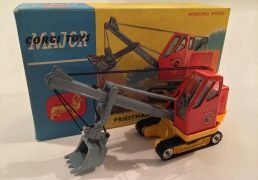 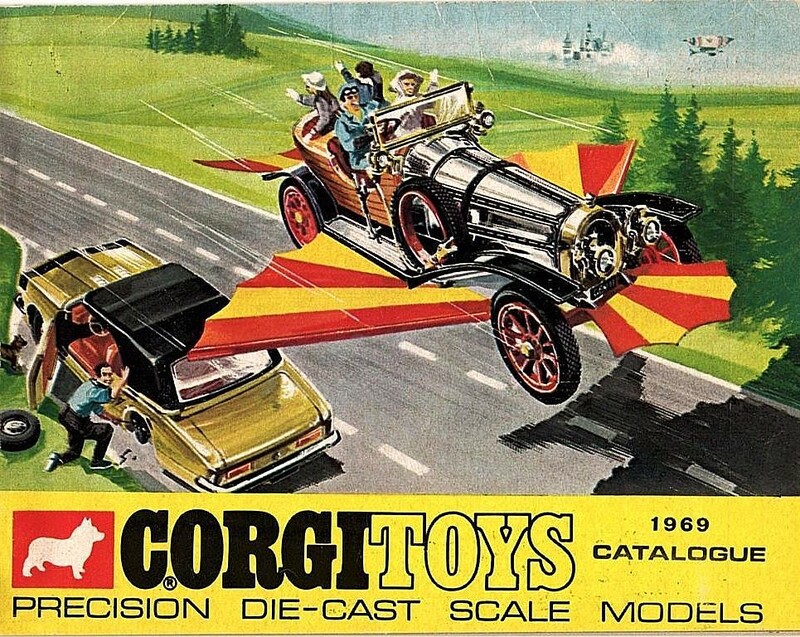 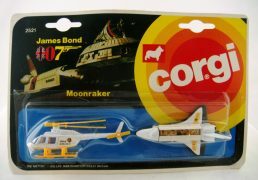 The model will be supplied with a 1969 catalogue where it was featured. 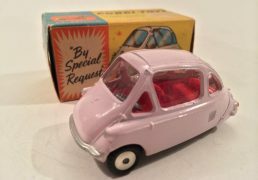 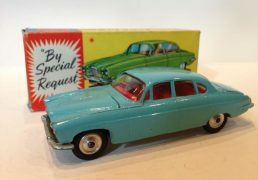 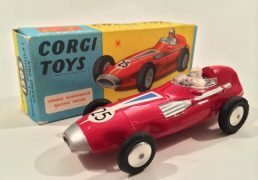 A great opportunity to acquire one of the rarest models produced.